I’ve had some opinions about how patients deal with their hair loss that haven’t always been popular. This is more of an issue since Propecia side effects have become more regularly discussed with time. 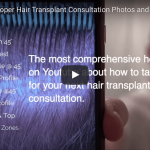 The reasons why my opinion hasn’t always been popular is because I prefer to encourage people to use their brains and not simply rely on third party information and hearsay when it comes to their own long term hair restoration plans. The people that you read about or the people that you listen to aren’t having to deal with YOUR hair loss. YOU are. This isn't to say that Propecia side effects aren't real. They are and I know people that suffer from them. 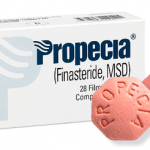 I'm convinced however that the degree to which Propecia side effects occur, from patient to patient, is greatly overblown. When it comes to Propecia I’ve never been shy about the fact that I think people should consider it on it’s own merit. 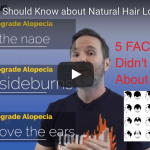 The facts are the facts and these facts show that Propecia side effects are not as common as anonymous internet posters will have us believe. The number of people that are affected by this medication is peanuts compared to the number of people that have not only zero side effects, or at worst tolerable side effects, but also have positive effects that help to slow or even stop their hair loss. It always surprises me that people are more than happy to get a hair transplant in a third world country half way around the world because it’s cheap but they aren’t even willing to at least consider trying a cheap medication that will prevent them from losing more hair AND potentially prevent them from having to have MORE hair transplant surgeries in the future. 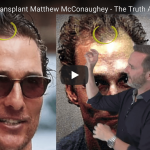 I felt it was time to discuss this issue in a more direct format so I put together this video discussing the realities of Propecia side effects, and hair transplant surgery. I think this is a very important subject for people to understand. 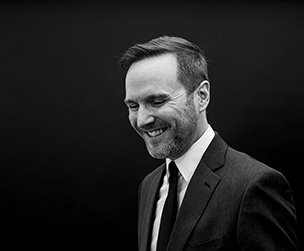 Without Propecia, or to a lesser extent Minoxidil, your hair loss is going to continue. There is no way around this and it WILL happen. A hair transplant isn’t going to fix that and at best it is simply a temporary band-aid. Unfortunately, you only have so many band-aids in a box and eventually you’ll run out but the need for more band-aids will continue. If you don’t understand the analogy I’m saying that once you have a hair transplant, and you aren’t taking medication to halt your hair loss, you’ll have to have more and more surgery. That isn’t the way to plan your hair loss goals. Be smart, seriously consider all your options BEFORE you commit to surgery. Regardless of the procedure, FUSS or FUE, once you’re cut you’re cut and there is no going back. Ever.